Made from Long Staple Egyptian Cotton. 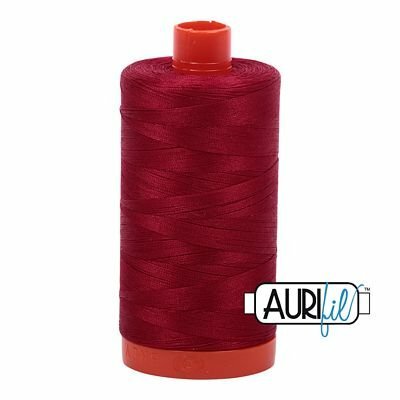 Ideal for detailed machine embroidery, red work, quilting, lace design and serging. This thread has really taken off with machine quilters. Long staple cotton gives this thread the strength needed for highs speed machines. Cotton Mako is also mercerized, giving it a sheen not found in most cotton threads. 1300m spools.